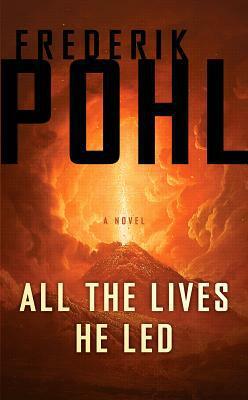 Two thousand years after Pompeii's destruction, a thriller of upheaval--volcanic and political--as only SF Grandmaster Frederik Pohl can write it In "All the Lives He Led," in the shadow of Mount Vesuvius, a compelling human drama unfolds in a near-future science-fiction thriller. When Mount Vesuvius erupted in 79 A.D. it gave so little warning that Pompeiians were caught unawares, leaving archaeologists evidence of just how life was before the catastrophe. It is now 2079, and Pompeii has become a massive theme park recreating the ancient Roman city, complete with workers from all over the world to act as "authentic" ancient Pompeiians. While everyone in Pompeii is preparing for "Il Giubileo," a massive celebration to commemorate the anniversary, one worker, Brad Sheridan, has his hands full--with the woman of his dreams, and with troubling events that threaten to cost him his job. As the fateful day draws near, tourists flock to the site; the eyes of the world are on the famous Roman city. Perfect for business . . . but a nightmare for Brad when he discovers a terrorist cell readying its own surprise for "Il Giubileo" a massive disaster that could wipe out humanity.